New Zealand's biggest dance party is back celebrating 20 years of dance anthems! 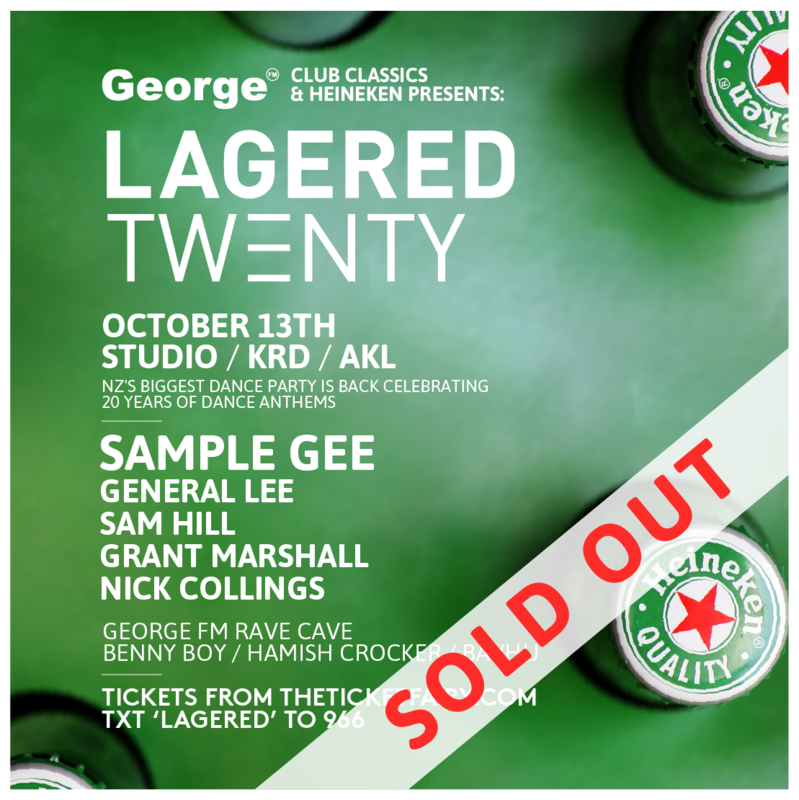 George FM & Heineken are proud to present Lagered Twenty. Nine albums created, 124,000 copies sold, this is going to be an amazing trip down memory lane for the old school dance music followers, but also a wicked event for the newcomers who love the classic b--b-b-b-baaangeerrrsss.